Poe is the official mailman for Southern Cross Gaming. He is a young and spritely Welsh-Corgi in charge of keeping everyone up to date with the latest happenings and so on. 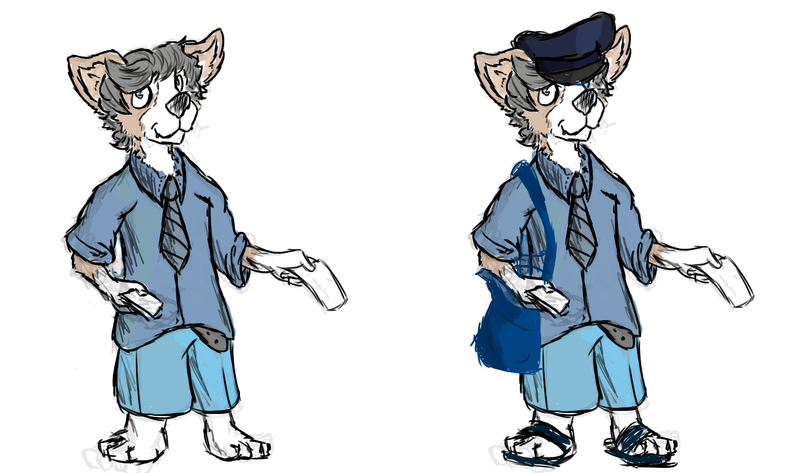 He's not a very good runner , given his tiny frame and stubby legs, and often trips and falls ; spilling mail everywhere. He is very shy, timid but quiet! Though he does react to certain commands given to him. All in all, he is a hard worker while still being a bit of a goof ball. He's another part of what makes SCG special.